The Spirit of Tengri modern ethnic music festival will take place June 7 in Almaty, welcoming music lovers with an impressive programme this year, said project Producer Zhan Kasteyev. The show will begin at 5 pm on the square in front of the Palace of the Republic. This year’s show gathers not only locals like “Roksonaki”, “Aldaspan” and “Sharapat”, but also foreign performers, including the Turkish band “Baba Zula”, the Georgian group The Shin”, musicians from Ecuador “Yarik-Ecuador” and Uzbek singer Gulzada. Performers from different republics of Russia, such as the “Namgar” duet (Buryatia), “Argimak” band (Bashkortostan), Sainho Namchilak and Radik Tulush (Tyva), Chiltis (Mountain Shoriya) and Bolot Bairishev with music band “Beluha Jam” (Altai), will also be on hand. Newly-invented versions of traditional Kazakh instruments, like electro zhetigen and electro dombra, will be presented during the concert. The traditional live sound and open-air event will be complete with a craftsman bazaar around the stage and the fan zone entrance will be free. The concert is a real platform to get to know the history and the culture of our ancestors, according to Mukhit Azerbayev, chairman of the board of directors of the Global construction company which is supporting the festival for the second time. “Our company was one of the first that decided to support the festival last year. The Spirit of Tengri is something special in comparison to other entertainment events. I think this festival has deep roots,”said Azerbayev. The demand for ethnic music is obviously increasing and the audience needs such music festivals, added Nail Shayakhmetov, director general of the NS radio station. Moreover, the festival contributes to the cultural development of the country. “I used to listen to the ethno music, but still I was really surprised to hear about the festival when Tengri FM radio station launched the project. I did not expect this festival had a future, but as we can see now, people continue visiting the Spirit of Tengri every year. Every nation brings new, fresh music solutions on the stage. The music lovers have the chance to listen to the breathtaking consonance of electro and traditional instruments ,”said Shayakhmetov. 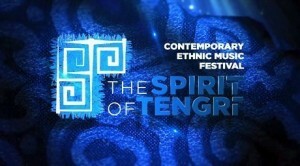 The Spirit of Tengri is an intercultural project to demonstrate music traditions of different ethnicities of the world. The project’s partner general is Kaspi Bank. The event is dedicated to celebrating Almaty as the cultural capital of the Commonwealth of Independent States (CIS) and supported by the city akimat.